In order to ease land pressure, Sanya authorities carried out the regulations of underground development and utilization, mulling on the city’s first underground shopping mall in Luhuitou Square. 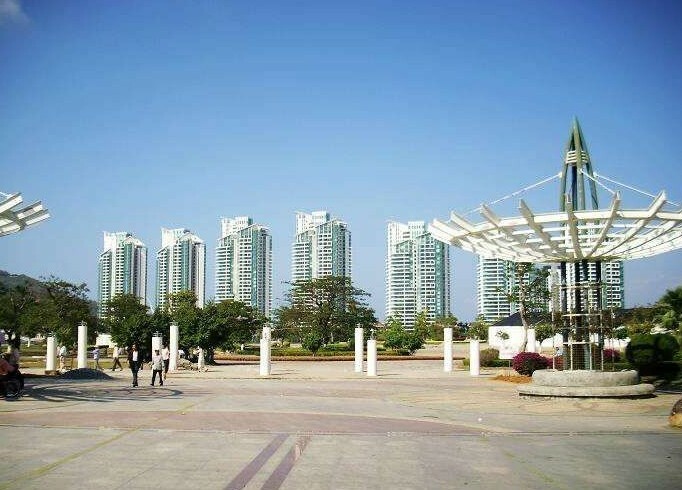 The rapid urbanization in Sanya is driving the small urban area near saturation. As a result, the underground development and utilization will ease this situation to a great extent. According to Sanya officials, it will not only help to improve living conditions, but also contribute to the infrastructure construction and public service facilities construction, such as underground shopping malls, underground commercial streets, and underground garages. The first underground shopping mall will settle in Sanya Luhuitou Square, according to Sanya officials who signed an agreement with a Hong Kong real estate developer on underground development and utilization in December, 2011. The three -storey underground shopping mall will cover an area of 410,000 square meters with a total investment of RMB 8 billion. And it will be a new commercial center in Sanya.